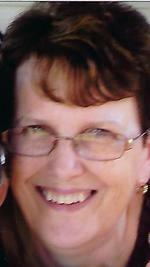 Marlane Snedeker Obituary - Scranton, Pennsylvania | Solfanelli-Fiorillo Funeral Home Inc.
Marlane H. Snedeker, of Scranton, passed away Saturday, Jan. 5, 2019, at Moses Taylor Hospital, with her loving family by her side. She was the widow of John “Snez” Snedeker Sr., who died Dec. 30, 2007. Born in Maine, she was the daughter of the late John and Hildred E. Prentiss Chemchick. Prior to her retirement, she was employed by BAE Defense Systems. She was a member of Mother of God Parish and a Telespond volunteer. Marlane will be greatly missed by her family. She was a loving and devoted wife, mother, grandmother, great-grandmother and sister. She enjoyed spending time with her grandchildren and great-grandchildren. Her family was the most important thing in her life. Marlane was a kind, selfless woman. She always put her family and others before herself. Her family would like to extend its sincere thanks to the many physicians, especially Dr. James Sheerer, and the entire nursing staff at Moses Taylor ICU, for their extraordinary care and compassion. Wilkes-Barre; Kelly Kobylus and husband, Brian, Old Forge; a son, John Snedeker Jr. and wife, Michelle, Scranton; seven grandchildren, Courtney and Shawn Joyce; Kristin, Lindsey and Sarah McHale; Connor Kobylus and John Snedeker III; seven great-grandchildren; five sisters, Lillian Supanek, Ithaca, N.Y.; Karen Myrkalo, Dunmore; Frances Cook, Montrose; Joan White and husband, Larry, Scranton; Ann Warrick, Clarks Summit; a brother, John Chemchick Jr. and companion, Nancy, Factoryville; several nieces and nephews and in-laws. She was also preceded in death by two brothers, Frank and Kenneth Chemchick. The funeral will be conducted on Wednesday from the Solfanelli-Fiorillo Funeral Home Inc., 1030 N. Main Ave. with Mass of Christian Burial at 9 a.m. at Mary, Mother of God Parish at Holy Rosary Church, 316 William St. Interment will follow at Cathedral Cemetery. Family and friends may pay their respects Tuesday from 4 to 7 p.m. at the funeral home. In lieu of flowers, please make a memorial donation to the American Cancer Society, 712 Keyser Ave., Taylor, PA 18517; or St. Jude’s Children’s Hospital, 262 Danny Thomas Drive, Memphis TN 38105.